A healthy liver is a vitally important element of good health, yet most of us seldom pay it much attention unless we are forced to. With an estimated 30 million Americans affected by liver disease this is a serious and growing health problem. While this apple, beet and carrot juice recipe can’t make up for a diet full of fast food and excessive alcohol, it is a recognized liver tonic and rejuvenator that may help to ease the burden on your body’s master cleansing organ and improve the way you look and feel. For many people, their poor overworked liver puts a lot of effort into filtering and detoxifying all the dietary and environmental pollutants that get sent to it each day. Once the level of these toxins starts to get too high for the liver to deal with on its own, it will recruit your skin into trying to get rid of the excess, often leading to skin problems and dark circles under the eyes. Regular headaches and a general tiredness and lethargy can also be symptoms of a liver under strain. Making up and drinking a blend of carrot, beet and apple juice fresh is a simple and effective way to help cleanse your liver and increase the rate that you process toxins out of your body. Quite unlike heat-treated and sugary commercial juice, fresh fruit and vegetable juices are full of powerful enzymes, antioxidants and other nutrients that you can feel within minutes of having them. In fact, drinking freshly extracted juice has been compared to having an energy transfusion from the plants involved into your body’s cells. Since there is so little digestion required, this is one of the quickest ways to deliver nutrients to important organs like your liver. Fresh vegetable juices in particular are so powerful they are often central components of natural treatments for various diseases and have a cleansing and rejuvenating effect throughout your body. One important thing to note with fresh juices is that they don’t keep. While fresh lime is added to this carrot juice recipe to help prevent oxidization, it really is best to drink it immediately after making it for maximum benefit. Here’s an interesting video showing how to make daily liver tonic. Carrot juice is highly alkalizing to your body and helps flush your liver of toxic waste materials that can accumulate there. These alkaline properties and its wealth of vitamins and minerals are also believed to help cleanse your blood of contaminants and improve your eyes and skin. Freshly juiced carrots are one of the best known sources of pro-vitamin A beta-carotene and alpha-carotene for protecting your body from free radical damage. These antioxidant nutrients are converted to vitamin A when needed and are actually stored within your liver’s cells. Low levels of it are usually found in patients with liver disease like cirrhosis and it’s important to get a proper amount of vitamin A for good health in general. Carrot juice is also a great source of vitamin C, vitamin K and various B vitamins. Additionally, they can be rich in potassium, calcium, magnesium and trace minerals like molybdenum and copper if grown in decent soils. 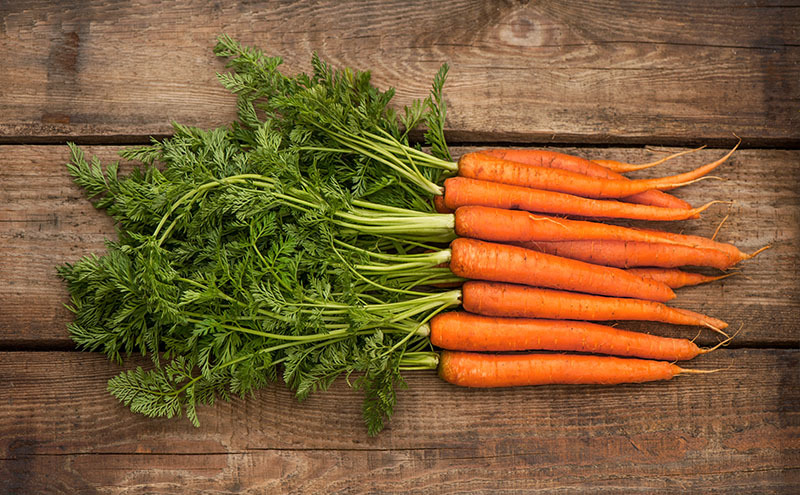 One way to increase the chances of a high mineral content is to choose organic carrots. Carrots are one of those vegetables you really want to get grown organically if you value your health. Organic is best as apples are often sprayed with pesticides you really don’t want in your body. Especially as we are trying to help the liver here rather than add to its burdens. At very least, soak your apples in hot water and vinegar and scrub them well. Aside from all of the other apple health benefits, they are a great general detoxifier and are rich in pectin. Pectin is a type of fiber that binds to toxins in your intestines as they are digested so they can be safely excreted, well before your liver has to deal with them. In this way, eating apples regularly, as well as using them in special juices and smoothies will help ease the workload on your liver and improve your overall health. Aside from the high levels of vitamin C and great finishing tang, fresh lime is added into the juice collector before juicing to help prevent oxidization. 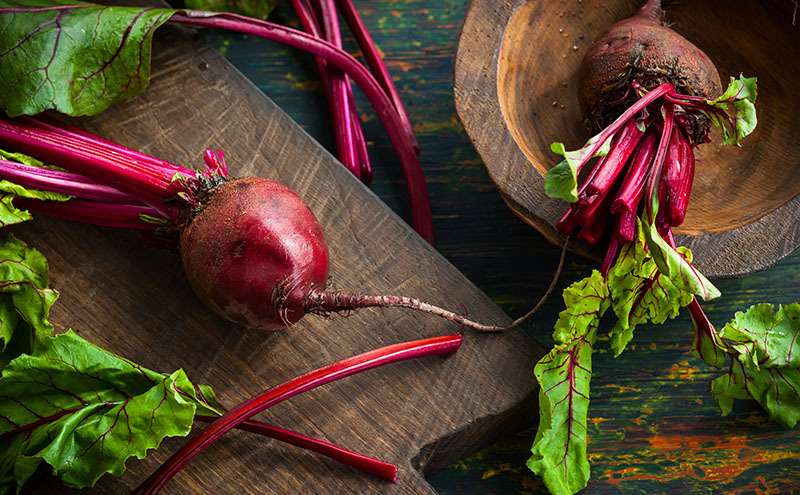 Beets or beetroot are a rich source of phytonutrients like betanin that have strong anti-inflammatory and antioxidant properties, coupled with a stimulating effect on the various detoxification pathways of your body and especially your liver. Betaine is another nutrient identified in beets that promotes the flow of bile for better digestion and improves liver detoxification. 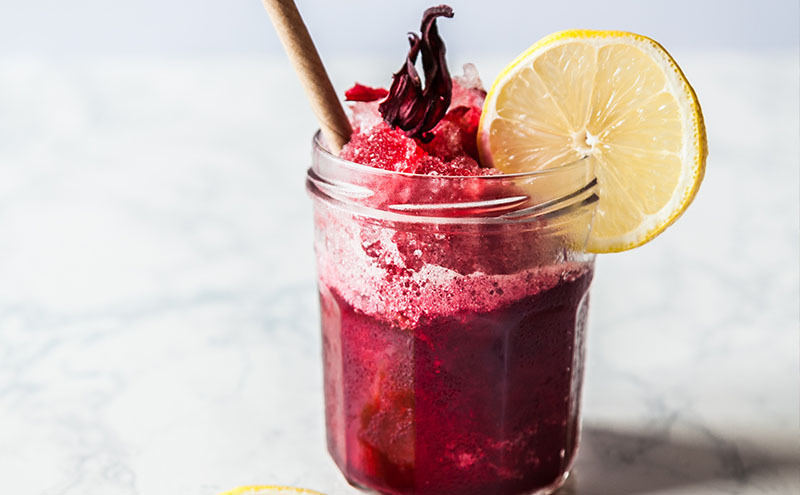 In fact, beetroot juice is so powerful it is even believed to help regenerate liver cells and clear fatty deposits caused by years of alcohol consumption. Optional: An inch-long piece of ginger. Ginger contains compounds to stimulate better digestion and may help protect your liver from oxidative damage that can play a part in diseases like liver fibrosis and developing a fatty liver. It’s optional if you don’t like the fiery ginger kick, but good to have if you can. I often add double this amount, but ginger is an ingredient you’ll really notice so start off with a smaller piece and see if you like it. You obviously need a juicer to make up fresh juice and the better quality ones will not only last longer, they’ll deliver a larger quantity and a more nutrient rich juice. Masticating Juicers are far and away the best type and better value for both your wallet and your health in the long run if you juice regularly. Before you start juicing, put a couple of ice cubes and the squeezed juice from your lime (minus the pips) into the bottom of the collection jug. Depending on the size of your juicer feed you may have to chop the apples and beet into halves or quarters, though most juicers these day should handle the carrots whole. Wash and scrub your ingredients then turn on your juicer and start with the beet. Next juice the carrots and ginger if you’re using it, followed by the apples last. It’s almost a shame to mix up the brilliant colors in the collection jug but it will taste better well blended. Enjoy your fresh apple, beet and carrot juice straight away. It’s good to sip it slowly and savor it on your tongue for a bit before swallowing it. Drinking this liver tonic and detox juice a couple of days a week for a fortnight should have some noticeable effects on your mood and energy levels and start to improve the tone of your skin. You may end up liking it so much that you want to have it long-term and see just what it can do to improve your liver’s function and by association your appearance, general immunity and ultimately your overall health. I have only been juicing for a couple of weeks, but I have no doubt about the effects that it has on mood, energy and health. Thanks Jim for a recipe that I will be trying tomorrow morning. I agree. Juicing is one of the fastest ways to elevate your energy, mood and overall health. This liver tonic juice is especially good for cleansing the liver as well. THANK YOU …………….. I love the juice blend of carrots, beets, and apples ! do we have to juice the beets and carrots with the skin on? Hi Jay and thanks for your question. You don’t have to but many nutrients often lie just below the skin with vegetables so it would be better to scrub and juice your veggies. Are we to assume that the beetroot should be juiced raw as well as the carrot and the apple? Or should the beetroot be cooked first? Beetroot juice is better raw. It actually has a real good flavor. will this juice cause a person that has upper hemmoroids to bleed out? hadn’t bled in a while, on day 2 of the juice. I don’t see any reason why the juice should affect hemorrhoids, apart from perhaps providing the nutrients to help them to heal a little quicker. There’s no reason why children shouldn’t have vegetable juices. They are certainly much better than packaged fruit juice from the supermarket. Hi, how many of each do you use for one portion? Do you leave the skin on the fresh beetroot? I’d use 3 medium carrots, 1 beetroot and 1 apple. It’s best to scrub the beetroot but leave the skin on. Can this juice be taken every morning? Do you peel the carrots before juicing? This is a great juice to have first thing in the morning. 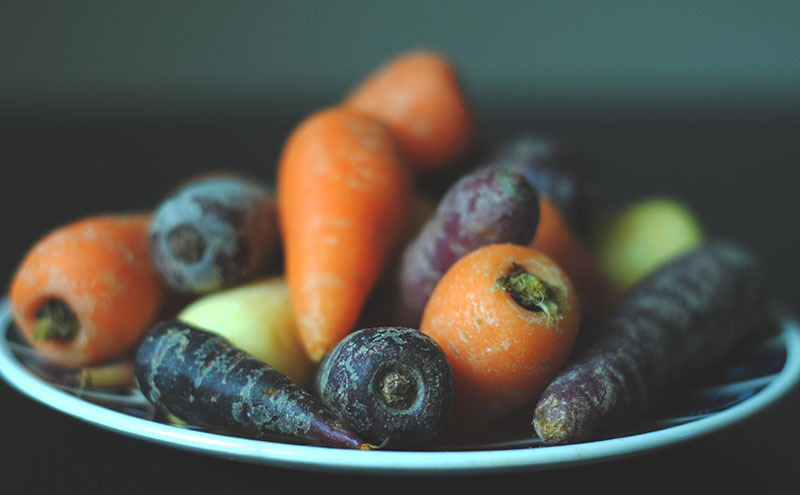 It’s best to scrub veggies like carrots and beets in warm water and vinegar rather than peel them as many nutrients are in or just below the skin. That said, carrots are one of the most important vegetables to get organic as they absorb both good and bad from the ground they are grown in. man jim, i dunno what you’re drinking but beet root does NOT taste good. 😉 tastes more like dirt to me. i had to add about a 1/2 inch of ginger to make it more flavorful. We all know the benefits of ginger so, i don’t think it can hurt the benefits, but def helps with the flavor. i’ve also read folks adding a half a lemon to the mixture. peeled of course. What can we add to this to increase the chlorophyll content? I personally really like the taste of this juice recipe so each to their own. Both ginger and lemon are good ingredients to add. Kale, spinach or parsley would be good for chlorophyll but you’d need a masticating juicer like the one suggested in the article link to get much juice out of them. This recipe is delicious. I have been juicing beets carrots apples lemon kale cucumber ginger and celery all together and it’s quite good. How long do you suggest the juice is good for after juicing? Hi Rohini and thanks for your comments. That sounds like a great mix too. Unfortunately the beneficial enzymes and other nutrients in freshly made juice can degrade quite quickly so it’s recommended to drink the juice straight afterwards. Adding some lime or lemon juice apparently helps to slow down oxidization. Thank you for this recipe. A friend of mine suggested it to help me loose weight. He said I should replace my breakfast and lunch with it and drink lots of water in between. I will definately give this a try. Hi Viwe and thanks for your comments. You’ve friend is right that drinking a lot of water as well is very helpful. It also fills you up as well. Juices like these provide a lot of nutrients which nourishes your body and leads to less hunger. Can Pregnant woman have this juice ? What about ginger factor ? Hi Desai. I’d leave the ginger out if you’re pregnant as ginger is not recommended during this time. I mix beet juice with pinapple juice. Is it good for high colesteral. Hi George and thanks for your question. One of the recognized benefits of beet juice is lowering bad LDL cholesterol levels and raising healthy HDL cholesterol. Fresh pineapple juice is also very healthy and I’d add it to this juicing recipe as well if you enjoy it. can one use the juice to help with weightloss? And how many time a day can one drink the juice? Anytime you can have freshly made juices like this rather than a grain based snack or meal it can help with weight loss. The high levels of nutrients in fresh juices also tend to reduce hunger. Beet juice is particularly good for lowering blood pressure. One study found those with high blood pressure had a decrease of around 10 mm Hg following a daily dose of beet juice. I love this juice!! I’ve only been juicing for a few weeks using a real juicer. I was using my blender to make green smoothies and then I discovered wheatgrass juice. So I got a manual wheatgrass juicer and now make it myself I LOVE that taste too. I just finished my first glass of your carrot, beet & apple juice and will probably enjoy a glass a few times a week. I’m hooked on juicing now and can’t wait to see the wonderful benefits that will result. Do you have any other juices combinations that are as good as this one? Hi Norah and thanks for your comments. Can you tell me what is the ideal time to have this juice? I get up in the morning and have warm water with lemon and honey… followed by a rigourous work out. After that I have my breakfast… after a while of course. Can you tell me where to fit in this recipe? The juice would provide some very beneficial antioxidants and I think energize your workout if you had it before you exercise. Alternatively, juices like these make a healthier replacement to afternoon snacks or even instead of lunch or dinner if you are trying to lose weight. Really enjoying this juice. I added 2 Indian Gooseberries(Amla) to this combo as the health benefits of Gooseberries are well known…………..Is this combination good?? ?……….Please advise!!! Indian gooseberries would be an excellent edition adding a lot of beneficial antioxidants. I wish I had access to fresh ones and would recommend using them often. Hi..This juice is magic wand for hair loss due to any reason..The fall stops in a month. Hi Sush and thanks for your comments. There’s a lot of nutrients in this juice that could help correct deficiencies associated with hair loss. Glad it’s working so well for you. hey jim is this juice recommended for diabetic patients??? It’s not recommended to have to large an amount of these juices for diabetics as they do contain natural sugars. Mixed in with more vegetable juices, particularly greens would be better. While a juice recipe like this is definitely much healthier than commercial juices it’s probably best to consult with a health care professional before drinking large amounts of juice with diabetes. Hi Jim,I’ve read Kale is very good for you.What is the amount can I add to the juice,as I am permanently on WARAFIN.Thanks. Here’s a good recipe for kale and you could use a similar amount in this http://healthambition.com/pineapple-coconut-kale-smoothie/ but you would have to check with your doctor as kale is very high in vitamin K and blood thinning medications work by blocking this so it may not be advisable. I have began drinking and juicing this combination since last Thursday and have noticed that I have headaches a little after drinking. Is this normal? I am assuming that my body is just going into some kind or overdrive at all this healthy stuff…. I think that’s likely. More water before and after the juice can help. If it gets worse take a day off and start again with a bit less beet and carrot. Without mixing apple, can i take only raw beet and carrot juice. This would be fine. Celery juice would be another good addition here, particularly for the kidneys. Thank you for this site. I have a Ninja Mega Kitchen System 1500. Today I purchased 4 LG beets, a fresh pineapple and a bag of golden delicious apples. Is this a good mix? How much should I use for 72oz container? And if so, how long should i keep this mixture? Pineapple is a good addition here but it’s well worth adding organic carrots as they’re particularly good for your liver, skin and immunity. It’s very difficult to tell how much to use as juicers vary so much in their output but it is best to drink fresh juices immediately. A little lemon juice added to the container delays oxidization a bit but they really don’t keep so drink them straight away if you can. Hi Jim, Can a person with fever, cough and cold have this juice? I have just started having this juice for the past 2 weeks. Yes, carrot juice in particular is good for colds and should help healing. Sorry for the late reply but I hope it helped you. I am not a lover if beets but lovethis juice! My liver enzyme levels came back high after asidden case of abdominal pain so like everyone I searched for juices to help. Thanks for the info and receipe as well. Planning to drink it dailt. Hi Carmeney and thanks for your positive comments. I think it’s a good mix and beets and carrots are particularly good for your liver. hi jim, i started drinking your recipe two weeks ago and i loved it. i drink it right after gym between 5 and 6 pm. do you think this is ok or should i start drinking first thing in the morning as you mentioned in one of your comments. Right after gym is good Erhan as your body’s cells need the nutrition. It could also be good just before gym as it would give you a boost and provide antioxidants. I’d suggest trying both and seeing which makes you feel better a couple of hours after drinking it. can this be taken every day? or it has to be 3 times a week? what is the risks of taking it every day, my liver hurts and am getting weaker, so I want to start this. Hey .. I have a ques. .my dad is suffering from jaundice caused by liver problem . .he was drinking alcohal for so long so is it safe to give him the mixture of juices you have suggested in the recipie. . Please do reply , i want to try this juice or tonic on him as there is no official medicines for curing jaundice. Can I drink this after a beet carrot kale salad with salmon ? I know certain foods shouldn’t be mixed and fruits should be eaten by them selves before eating food . You could but you’d already be getting a lot of nutrition from the salmon salad. I’d have them at different times to spread out your antioxidant intake. ok, so am trying it so far, and let me tell you, this is the second day, and I feel a bit better, definitely a lot of this are going on in there, now, I was a bit nervous today because my stool was very very green!!! 100% dark green like fiber green, almost like if it was powered green stool if I was to compare it was almost like spinach but darker. should I be worried? or what would you think is happening? fist day, was 1005 red, second day since I didn’t added beets, it was green, also, am using a blender since I don’t have a juicer and am drinking it along with the fiber. Blending is good but you generally need much less of the ingredients. For blending rather than juicing you’re getting so much fiber that say 1 carrot, half a beet and 1 apple would be enough, maybe even half this to start with. Too much fiber, if your system isn’t used to it, can cause digestive upsets but it should pass as soon as it goes through. Beets will generally always make the stool a bit red though, even in relatively small doses. hi since i dont have a juicer at home… can i use the blender instead? A powerful blender should be able to handle these and that would be fine. I wouldn’t try it with a cheap one though as the root veggies might break it. Hi..I got a juicer fir Christmas and tried it out thus morning with carrots, apples and 1 beet & greens attached.I didn’t reaiize it was a liver cleanse. I liked it. My husband got sick. I told him it is detoxing. He felt nauseated,had diarrea …I told him its cleaning out all toxins in liver and organs. How long will it take and how many days should we do it? Is there another recioe as well and do you have more recipes. Could you please sign me up for emails. Thank you. I’m looking to improve my healrh and weight loss this year. If your husband had a negative reaction then he should start with no more than half what he had previously and perhaps dilute the juice with water. He can slowly build up to larger amounts if this is well tolerated. Generally at least a couple of times a week is good for juicing with daily having even more powerful results. I am hoping for a miracle with this juice. I have been in a constant battle with chronic hives for about 6 years that usually flare up at night. I have been keeping them under control with Claritin twice a week. Just a week ago my doctor changed my BP medicine which caused an allergic reaction and I am now covered in a severe rash with no relief from Benadryl for itching. I’ve been applying tea tree oil but I know I need to cleanse from within for this to go away permanently. Is this the best recipe for skin problems? Is there anything else I can add for quick relief? These juices are all good for the skin, particularly carrot juice – http://healthambition.com/making-carrot-juice-better-health/ but it’s not possible to predict how it will work for you personally. Traditional healing systems like Chinese herbal medicine or Ayurveda are often successful at treating the underlying causes of skin conditions rather than just prescribing for the symptoms so might be worth considering. Hey Jim Thank you for the recipe. I have been juicing for years and highly recommend juicing. Started when I had an issue with a build up of toxins in my liver due to food preservatives. A friend recommended Dr Sandra Cabot’s Liver Cleansing Diet and I haven’t looked back..
My question is in all the juice recipes that contain apples there is no reference to what type of apple to use, should I be using green, red or a certain type I.e. Granny Smith (green) or pink ladies (red) is there any difference – I use Granny Smiths, what do you recommend? Hi Lynette and thanks for your comments. I use red apples for my version…Although any apple would probably work. Just not small crab apples lol to sour. Hello. Went to the doctor this week and i might have a fatty liver or inflamation. My question is could taking this make my situation a bit worse? I want to obviously improve it but… not sure please help. Hi Jim, thanks for sharing this recipe. I cant wait to try this mixture, esp for the liver benefit from the betaine! Hi , thanks by the recipe, I would like to know if I can take this everyday/ for how long . also want to know if is ok to do it with non organic fruits and veg. Carrots especially I’d recommend getting organic. Apples should also be peeled if not organic. Processed grain foods are a much bigger problem with diabetes but it’s still worth keeping an eye on the sugars in apples and to a lesser extent beet and carrots. An occasional glass should be fine (though consult your doctor if concerned) but generally vegetable juices like the ones listed here are an even better base – http://healthambition.com/vegetables-for-juicing-the-juice-diet/ The more you can mix in the better for your health in general. It is a shame but juices like these just don’t keep unfortunately. Apple in particular oxidizes quickly and they’ll all separate and lose enzymes and nutrients. In the past I’ve made larger batches and frozen them. They don’t defrost well but can be eaten a little defrosted as an unusual ice desert. Fresh is much better though. Is it okay sir to take (1 Beet+ 1Carot +1Apple) juice every morning daily? Is there no bad effect? Juice in the morning is great. I’d say half a beet as they are quite powerful and this recipe is for 2, though you could add an extra carrot. I have been drinking juice for 2 months now and continued, was recommended by my mother-in-law. I add Carrot, Apple, Strawberries, Ginger, Beat and Kale it is really good for immune system. I feel energetic whole day after drinking 1 glass. Before I had low Iron and hemoglobin, but now its all under control. I will continue to drink this. Thanks for sharing. Thanks for the information. Can this miracle juice good for kidney also ? Can this juice treat patients with chronic hepatitis B and C, if not what is the alternative treatment for these conditions, thanks. Are there any juice combinations that are helpful in strengthening hair? I have started juicing again. I usually just juice vegetables, but this morning I added a Fuji apple with cucumber and cabbage. It was great but a little sweet. Can I it all in my Vitamix? Thanks for sharing your juicing recipes. I am on my straight second week for this regimen which I usually take at least 30minutes before breakfast (1 beetroot, 1 apple, 1 carrot and quarter of a lemon). A friend of mine encouraged me to do this because we are hoping it will help me with my skin condition which is atopic dermatitis and I have been suffering with the on and off moderate to severe attacks for more than a year now which is really frustrating. I just finished my long term steriod therapy but currently am still on topical steriods and antihistamine so I thought of giving this a try to cleanse my liver with high hopes of regaining my flawless and scarfree skin. After a week, my housemate has told me that my eye bags has lighten but then i have not seen my face with so many pimples even when I was on antibiotics and steriod therapy. is this one of the side effects that you or any of your readers have encountered while they are on it? My skin especially my face has turned oily even after I have put on a clarifying lotion as prescribed by my Dermatologist. Also, my dad is planning to take 3 carrots and 1 apple for juicing, would that be safe for a hypertensive and who has type II diabetes because I know both apples and carrots are sweet. Any advice from you is greatly appreciated. Did you get a response about the acne? I’m on it for a week now and my face is breaking out like crazy. I read that taking high dose of beets will put your body in mega detox, so it could be your body is exerting all the toxic through your skin. Sorry to come in to this late – excellent article! Question on the apple fiber “pectin” binding toxins – should I blend this instead of slow/masticating juicing it to preserve the fiber? Not sure how much fiber makes it through the juicing process. how much sugar is in this mixture????? I have recently got severe acne on my both cheeks. I am already on antibiotics and I have already started this juicing treatment, however I would like to know in how many days/weeks will I be able to see the acne clearing up? And when would it be completely gone? Im new to juicing and suffer from I.B.S.what juice can you recommend . Hello Jim…i am a late entrant into the juicing regime but am loving it! Initially I purchased a centrifugal juicer but soon found out that the juicing quantity was less and the fast spinning motor made a lot of noise. Next I purchased a single augur juicer, like the one you described and am much happier with its output. I make a mix of all available vegetables and therefore the ingredients generally are carrot, cabbage, cucumber, beetroot, spinach, celery, ginger, raw turmeric, indian gooseberry and lemon. To this juice I add a spoon or two of raw honey and have it fresh. I do not know if it is alright to mix all these vegetables together but one advantage I find is that, there is a large consumption of veggies now. Currently I am having a mix of carrot, cucumber, beetroot, apple, celery, ginger juice with a dash of raw honey. By the way, I received the free ebook of juice recepies and thanks a ton for it. does this drink taking empty stomach cause kidney problem?? i just started to drink this in empty stomach early in the morning..
you can also use a blender!!!!! maybe add some nuts or seeds, even celery. Hemp seed works quite well. If you lived in a free country…..like Iran or North Korea you could even grow your own hemp to save some shekelzzz. Hi my daughter has an inflammottory liver she needs to get her liver back to normal,the inflammation has been there since July 2014 . Hi jim im just curious is it ok to use cooked and packed beets ? I started today my beets diet. However, my method is by blending instead of juicing. 1 beet, 2 apples, 1 lemon and 1 tablespoon of chia seeds. With your knowledge, what sort of effects will that give? Hi Jim, a friend told me that beets and beetroot is one of the highest foods that are GMO and synthetically manufactured and is dangerous to juice as it could do more harm than good because it has been changed molecularly… Is this true? how do we get non GMO and original beets?